In this interview I want to focus on how important body language is when you’re speaking, and not just in front of a lot of people, but just speaking in general. What your body language tells people. Dr. Nick Morgan is one of the top experts on body language and how to make sure it conveys the message you are trying to convey. Dr. Nick Morgan owns Public Words, a company that is helping to create strategies for people who want to become professional speakers. A passionate teacher, Nick is committed to helping people find clarity in their thinking and ideas—and then delivering them with panache. 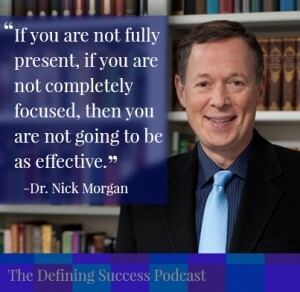 It was a real pleasure talking to Dr. Nick Morgan. A body language expert, he just has such a solid background; he’s done so many good things for so many people out there, so many well respected people in the speaking industry, companies, businesses, the advice he was willing to share with us today was phenomenal. I hope all of you out there listening took notes, because he knows what he’s talking about and he gave some excellent tips and advice today. In this wrap-up I want to focus on the importance of body language. This is one of the things I struggle with. Recently I’ve been giving speaking engagements, and they’re smaller venues maybe 40-50 people. I’m talking about social media and my whole focus is on the content, the stuff that I’m saying. What Dr. Morgan correctly pointed out is that most people aren’t going to remember what you say. They are going to remember your energy, the way you interact, respond and your body language and what that tells them about the experience and what they’re learning. If you notice professional speakers, they have that charisma. I’ve seen enough people speaking and you can tell, some of these people are charismatic. But, they are charismatic because they’ve acquired that skill. They are very deliberate with what they choose to do with their body language and the way they convey and represent themselves to others. I was talking with Adam Whitmer, someone in my mastermind group, he gives speaking engagements all the time. He speaks mostly in the banking industry about regulations, bankers have to go to these events. He wants to become a better speaker, so he’s been going to some training and learning about speaking. He was very clear that a lot of it is your body language and the way you present yourself just like Dr. Nick said. He has seen the difference. Adam said it made a profound difference in the way the audience responded to him once he started applying the rules of body language and using them effectively. I’ve never applied these things before, because I’m literally just learning. I always knew body language was important, but I never focused on the body language because I always focused on the content. In the future, moving forward, I’m definitely going to be more conscientious about my body language and what that is conveying to the audience that is listening to the message I’m trying to share. I really appreciate Dr. Nick sharing all his advice today, and not just the body language stuff, but everything he shared. It was extremely eye opening and enlightening. Connect with us on Facebook, I’d love to hear from all of you. Hear some feedback on the interview and let me know if you have any questions for me or Dr. Nick. Go out there and find your success! Visit www.PublicWords.com to get tons of free information about speaking, body language and the business of professional speaking. It’s a real treasure trove of information. 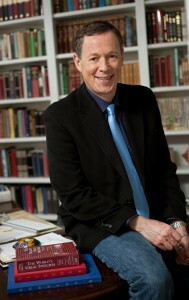 Dr. Nick Morgan was an academic. He taught Shakespeare and public speaking. He trained as an actor, did that for a while. Had some children he had to take care of, so he had to get a paying job. He worked briefly as a speechwriter for a governor. Then he entered the business world via consulting and then started his own business. Public Words started in 1997. 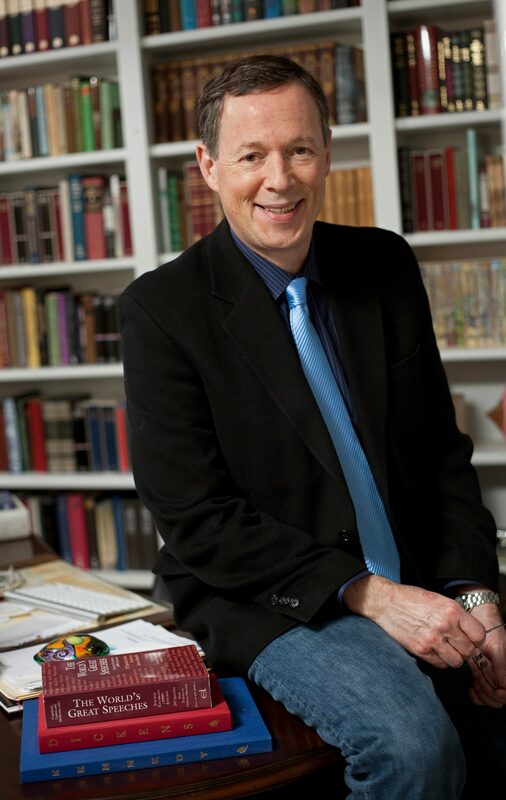 He says, “We help people tell their stories.” They work with essentially three kinds of clients: pofessional speakers who need to be on the top of their game and need to develop successful brands for themselves, executives who need or want to improve their communication skills, and companies who need to tell their stories to the world or to their own employees for motivation. Zeb was introduced to Dr. Nick Morgan through David Meerman Scott author of The New Rules of Marketing and PR. Who has worked with Dr. Nick. Nick gives an example of one of his clients. Someone who is cool under pressure and get’s promoted because that’s exactly what you need in some industries. Once he was promoted to a certain level he was told that his employees think he’s too cold, now he needs to show more emotion. Even though not showing so much emotion may have helped him get to that position in the first place. Part of their job is figureing out people’s or businesses’s story. They’re about figuring out, what’s the streamlined story. The movie Casablanca starts with 7 minutes of opening credits. Nowadays, movies begin with action, once they’ve got you hooked they run the credits along with the action. The world has sped up for us that way. Speakers and business people in general need to do the same. One of the classic mistakes that business people make when they’re going into a meeting, pitching a client or are giving a speech is they say, well let start by telling you a little bit about myself or my company. Frankly, nobody cares about you or your company. They want to know why. Why am I there, what’s in it for me, why should I care, why is this important. You have to answer that why question first then you can tell them about yourself. He says he asks people when they are creating a speech how much time they spend thinking about the content of the speech and how much time they think about the body language. An honest answer is usually 100% on the content and 0% on the speech. If you do what most business speakers do, you clutch your hands nervously in front of your stomach then your body language sends out the message that you are nervous and your stress levels are high. Studies show that when you do that you actually raise the stress levels of the audience as well. When stress levels are high people don’t learn well, remember well or listen well. You are actually making the communication worse. He says videotaping that is a great tool for the average person wanting to give better speeches. Videotape yourself either in rehearsal or giving a speech, just watch and see those ticks that we all have that do get in the way of communication. They are good to clean up and to get smart about and eliminate. Dr. Nick can’t help but notice the mistakes people make when he sees someone speaking. Often times people over prepare and overload their audience with too much information. So people really need to cut down, figure out the one thing you want to get across to your audience and make sure everything you say is in support of that one idea. Emotional focus is very charismatic, that really is what charisma is. 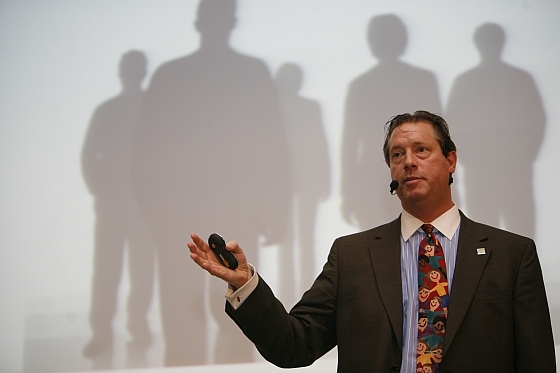 We work with people who want a sustained professional speaking career. There are three things you need in general: a great speech (or a few great speeches), a great book (as proof that you’re the expert), and a community – these days that’s the online community. One of the pieces Public Words often helps with is the book. Help them with the story, the proposal, pitching to agents, selling to publisher, and bring it to market and persuade people to buy it and read it. To develop a community Public Words uses the idea that you are passionate about, that you want to share with the world, that you want to write books about, give speeches about, and debate with the community. Fifteen years ago there were certain gatekeepers who got to decide what information reached most people. Newspaper editors, tv and radio show producers. Now we have the internet and things have changed. You can create a community online and those gatekeepers are much less important than they used to be. But, now you have to do the work. Nick shared a failure he had with a client who had a great story, he was an immigrant who built up a huge successful company. He worked with Public Words to put together a big public speech to a really large crowd to talk about his legacy and how he got to where he was. After the speech was written he refused to rehearse. Instead of doing everything he could to get the client to rehearse, he let the client convince him that rehearsal wasn’t necessary. When it came time to give the speech the client starting doing martial arts moves in front of everyone. He would say a few lines from the speech and then do some more martial arts. Everyone one was staring wondering what was going on. Nick wishes he would have worked harder to convince the client to rehearse. Nick Morgan says the amount of rehearsing you need to do varies depends on how experienced you are, how comfortable you are, how big the stakes are, how different the speech is compared to what you’re used to. There are a lot of factors involved. What you want to do is stand up there and have it not look like you’re doing this for the first time. How long should you rehearse? Enough to get it into your muscle memory so that you don’t look like you’re giving the speech for the first time because that body language message woefully undercuts the message you’re trying to get across. When you get into the room, it’s important to have a rehearsal, at least walk and around and check everything out, but ideally a full rehearsal in the actual space you’re going to give a speech in. 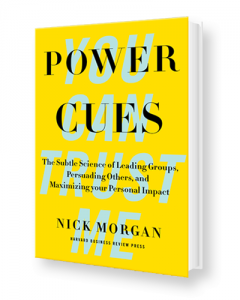 This entry was posted in Episode 087: The Importance of Body Language | Dr. Nick Morgan Owner of Public Words and Author of Power Cues and tagged Body Language, Body Language Expert, Body Language for Professional Speaking, Defining Success, Defining Success Podcast, Dr. Nick Morgan, Power Cues, Power Cues Book, Professional Speaker, Professionaly Speaking, Public Speaking, Public Words, Speech Giving, Success, Successful People, Telling Your Story, Zeb Welborn on June 19, 2014 by Admin. 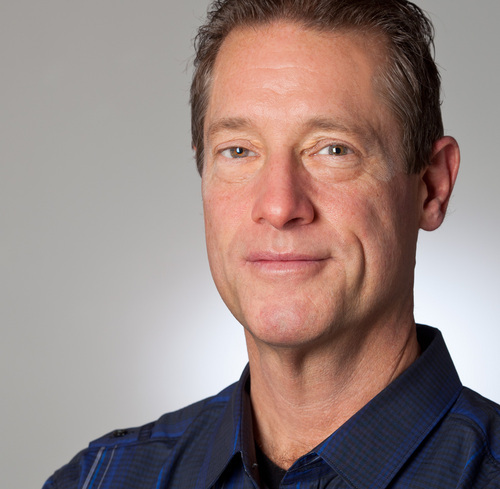 David Meerman Scott is a marketing strategist, advisor to emerging companies, best-selling author of eight books including three national best-sellers, and a professional speaker on topics including marketing, leadership, and social media. In Episode 46 of the Defining Success Podcast, David shares his ideas on real-time marketing and how you can use real-time marketing to help your business grow. David Meerman Scott wrote the New Rules of Marketing and PR and he’s helping businesses understand how the marketing world has shifted to giving and receiving instant feedback so you can be found online. In Episode 46 of the Defining Success Podcast, David Meerman Scott talks about Real-Time Marketing and its implication for the future. David’s first job was at a Wall Street Street Bond Trading desk which he hated. He then began selling economic services to traders and he learned that he was really doing more marketing than he was selling. He then got a job in marketing for a company called Knight Ridder and he’s been a marketer ever since. In 2002, David Meerman Scott worked for the News Edge Corporation was acquired by Thompson-Reuters and he was an officer and was asked to leave because they didn’t need the management team going forward and it gave him an opportunity to see what he wanted to do moving forward. At 39, he realized he could do some consulting on his own and in 2005, his second book was called Cashing in With Content and his most well-known book is the New Rules of Marketing and PR which has sold 300,000 copies. Since 2007, David has been earning his income on the speaking market. He drifted from one point to another. David wasn’t afraid to do things that others said would be a mistake. And these events all worked out great for him. In 2002 when David decided to start his own thing and many people looked down on people who started their own businesses because it was seen as if you couldn’t find a real job. Each of the things that paid off the most were risks that Scott took. The old rules of marketing and PR were that you either had to buy attention for your business or yourself in the form of advertising, you had to convince media outlets to write about you or you had to reach customers individually through direct selling. The new rules of marketing and PR is the idea that on the web there are millions of people who are looking for things online to buy or do and they go to search engines or they ask their friends, colleagues and social networks. The organizations and the people that create the best content will be the ones that show up in search engines and the more likely friends are to share them. The New Rules of Marketing and PR is about how to create content. World Wide Rave is another book by David Meerman Scott and in the last year, David has made his book completely free, and to get it search for World Wide Rave. 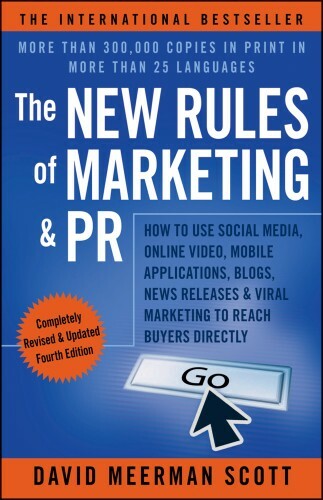 David wrote another book called Real-Time Marketing and PR. When people are making purchasing decisions, they are doing it right now and his book is designed to show how to engage people in real-time. Most companies and organizations are focused on campaign marketing and most companies are doing that exclusively. The idea of marketing is switching it around from doing it when a business is ready to when the customers are ready. News Jacking is the art and science of turning your ideas into a news story. It provides really cool ideas on how you can create something that people will see because you’re piggy-backing off of a breaking news story. David gives 35 speeches a year all over the world. This month, David is traveling to Cairo and Cutter and he’ll be gone for six days. In November, he’s traveling to Buenos Aires and Istanbul. The biggest mistake David sees companies make is that they talk about themselves way too much. And that doesn’t work in today’s world. It’s very important to create content on the web. To have a great website, to have real-time content around that website, whether it’s a blog or YouTube videos and it’s important to put yourself out there on the web and through social networking. Facebook has only been open since 2007. Twitter has only been around since 2007. It’s important for businesses to understand what this means for them and their future. Do you interact with your customers in Real-Time? Are you creating content on the web? If so, how? Connect with us on Facebook, Twitter, LinkedIn, of by leaving reviews on our iTunes page! Find us anywhere by searching for the Defining Success Podcast! This entry was posted in Episode 046: Real-Time Marketing | Author David Meerman Scott and tagged Author, Best-Selling Author, Blog, Buenos Aires, Business, BusinessWeek, Cairo, Campaign Marketing, Cashing in With Content, Cutter, David Meerman Scott, Defining Success Podcast, Emerging Companies, Facebook, Istanbul, iTunes, Knight Ridder, Leadership, LinkedIn, Marketing, Marketing Strategist, National Best-Seller, New Rules of Marketing and PR, News Edge Corporation, Old Rules of Marketing and PR, Professional Speaker, Social Media, Social Networking, Thompson-Reuters, Twitter, Wall Street Bond Trading, World Wide Rave, YouTube on October 15, 2013 by Zeb Welborn.